If you enjoy being able to travel on a regular basis and are looking for ways to cut down on travel costs, then a credit card that offers travel rewards could be an excellent solution. These types of cards usually offer all kinds of fabulous rewards and some even offer sign-up bonuses. Each time you use your credit card for purchases, you’ll be getting that much closer to your next vacation. So, how do you go about picking the best credit cards for travel rewards? Here are some tips you can use that will help you narrow down your options and find the perfect card. What Are the Travel Rewards? The first thing you will want to look into is the actual travel rewards. Are the rewards in the form of travel dollars, or is it point-based? Can you use these rewards with any airline/hotel, or are there restrictions? Obviously, you want to look for the travel reward card that offers the most flexible options so you won’t be forced to travel only at certain times of year and on pre-determined airlines. It’s not only important to determine what rewards you are getting and how to redeem them but you also need to learn about how you earn the rewards in the first place. Do you have to spend a set minimum amount to earn rewards, or are you given rewards each time you make purchases? Do the rewards carry over from year to year, or do you need to use them within a set amount of time. 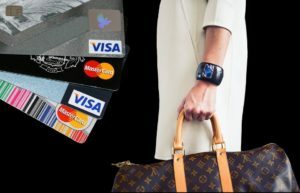 Learning how to take advantage of these credit cards will also help to earn you free travel that much faster. By taking advantage of the card and using it whenever possible, you will accumulate the most amount of points. Even when you’ve got cash to cover a purchase, it’s best to use your credit card and then make an immediate payment on it. What is Your Yearly Fee? As with any credit card, you will want to look into the yearly fee. The great thing about these travel reward cards is that they tend to have relatively low annual fees. It’s also important to consider the interest rate charged on purchases, as it can differ from card to card. Because there is so much competition with travel reward cards, you can take advantages of fabulous sign-up bonuses on offer. Perhaps you will be awarded bonus points/dollars, free merchandise, or even a discount on the interest rate for a set amount of time? It’s hard to believe that you could be traveling more often without having to spend more money, but that’s exactly what these travel rewards credit cards make possible. You could be enjoying a lot more vacations than what you currently do, especially if you pick a card that matches your spending and travel habits.